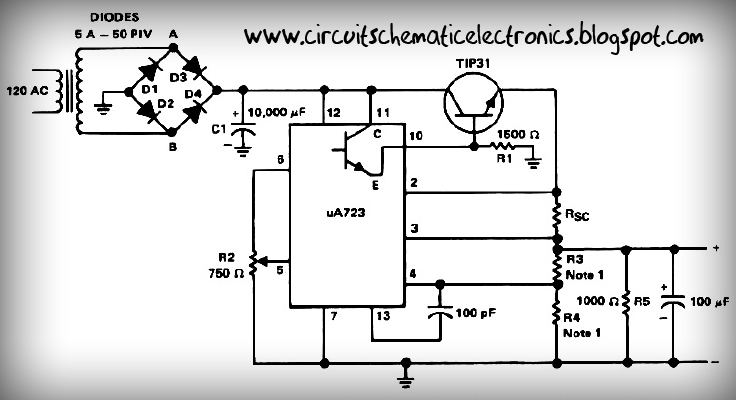 This circuit operating with IC uA723 and add amplified with transistor TIP31 or similiar transistor with TIP31 . 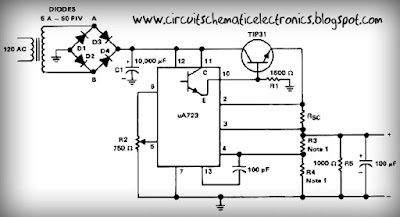 Input voltage for circuit about 10 - 40 volt DC , formerly of AC voltage 220 volts or 110 volts , then lowered by the transformer voltage to 30 volts. And the supply output voltage from 1 volt to 35 volt DC you can adjust it on potentiometer R2.